Deca Designs: BLOG TRAIN with lots of freebies! Brazilian, dentist, from Rio de Janeiro. Designing and loving this new activity. Thanks to come and visit my blog. BLOG TRAIN with lots of freebies! Hello girls. I'm so excited to be part of this special project. I hope you enjoy it. And it's HUGE!! Wonderful designers made a beautiful Kit. At least 45 papers,more than 80 elements and 07 quickpages. ALL participated designers for this blog train. Enjoy!! Thank you so much for this Freebie. 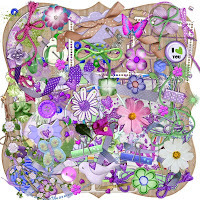 I want to let you know that I posted a link to your blog in Creative Busy Hands Scrapbook Freebies Search List, under the Page 10 post on Aug. 21, 2009. Thanks again. Thank you! Your blog post will be advertised on the DigiFree Digital Scrapbooking Freebie search engine today (look for timestamp: 21 Aug [LA 07:00pm, NY 09:00pm] - 22 Aug [UK 02:00am, OZ 12:00pm] ). Thanks for the fab collab!!!!! Thank you so much for sharing.It's soo pretty!